Build an ATV or racecar styled bed for the boys or a four-poster bed for a little princess. There are loft bed plans with storage space, day beds and even a PVC bunk bed. Create a baby cradle that is certain to become a treasured heirloom. Choose from many kid's bed plans to fit any home decorating style. Your children won't whine when bedtime comes when they sleep in a great new bed, styled to suit their interests. With free bunk bed plans, you can build a sturdy, durable bed that will make their room an inviting and comfortable getaway. A Toddler Bed Plan - Using this plan you can easily build a toddler bed that is strong, sturdy and inexpensive. Keep your toddler safe at night with a low to the ground toddler bed. 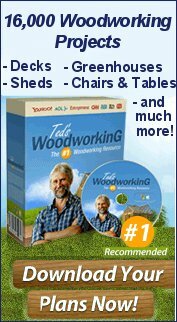 Wooden Baby Cradle - Build a wooden baby cradle using this easy to follow project. This baby cradle is built to rock and has a charming design. Four Poster Twin Bed - Build a beautiful four poster bed that will look great in your child's room. This four poster bed can be made into a twin bed or expanded to a full bed. Kid's Door Bed - Using a used door and this plan you can build a awesome bed where the head and foot are built from the door. Once completed this bed will make any kid proud. Standard Bunk Bed Plans - Bunk beds are great for when two beds are required in a small space and kids love them. This bunk bed plan has all you need to build a strong and sturdy bunk bed with ladder and rails. Traditional Baby Cradle - Build a cradle that will become a welcome heirloom in your family. This cradle has the look of days gone by with its wooden canopy and rocking treadles. Simple PVC Loft Bed - Build your child this unique and cool looking PVC loft bed. PVC pipe is extremely inexpensive and easy to work with, which makes building this bed a quick and easy chore. Build A Bunk Bed - You can build your kids a great looking bunk bed that will last for years to come with this free plan. 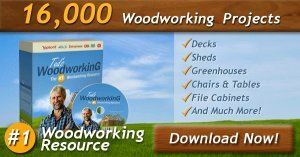 This free woodworking project is easy to follow and has helpful tips. Daybed Plans - This plan will give you instructions on building a daybed using twin headboards. Create a charming and comfy bed for your child. Build A Baby Crib - Here are great suggestions to help get you started on building a baby crib. This site is full of helpful tips for building a strong, sturdy and most of all safe baby crib for baby. Awesome ATV Bed - This fun to build all terrain vehicle bed will definitely but a smile on your child's face. Here are easy to follow step by step plans to help you make this awesome bed. Slated Day Bed - Plans for a handsome daybed that would look great in any child's room and is built to last. This plan has detailed instructions along with pictures. Multipurpose Loft Bed Plans - Underneath this loft bed there is a desk, book shelf and storage cabinet. This loft bed takes up very little floor space which works great in a small bedroom. Twin Bed Plan - This is a plan for building a standard twin bed. The plan offers instructions and helpful diagrams for constructing a impressive twin bed. Pendulum Baby Cradle - Build this beautiful turn of the century style baby cradle using this plan. This cradle has wide feet to resist tipping over and a pendulum swing action.